Norwegian Navy frigate HNOMS HELGE INGSTAD (F313), displacement 5290, commissioned 2009, complement 120, armament missiles, torpedoes, guns, helicopter. The frigate's 137 crew members were evacuated amid fears that it may sink. The tanker had left a nearby oil shipments terminal operated by Equinor carrying a cargo of North Sea crude oil. He said: "It is taking in more water than they can pump out". 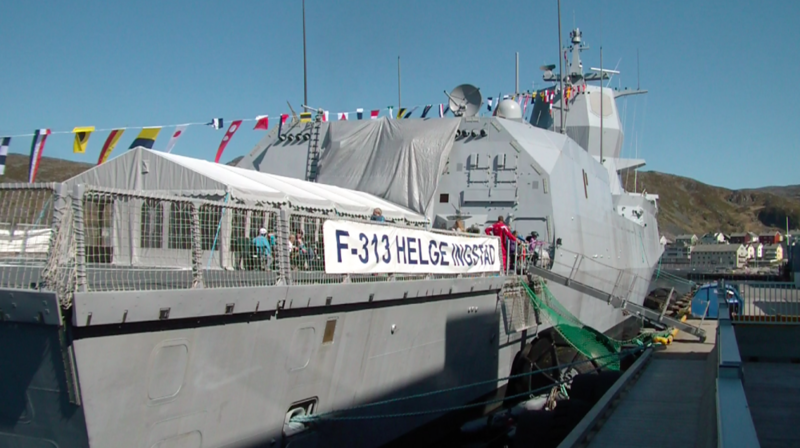 Johan Marius Ly of the Norwegian Coast Guard said the 442ft frigate, which had recently taken part in the North Atlantic Treaty Organisation drill Trident Juncture, was listing, adding: "We have been told that there is a leak from the frigate. The frigate moved to an inshore location and was listing heavily at 11:30am, amidst emergency efforts to prevent the vessel from sinking". "The armed forces is now reviewing all the means available in the region to assist the KNM Helge Ingstad", Lieutenant Colonel Ivar Moen told AFP. Launched in 2007, the warship is named after the famous Norwegian Arctic explorer.